Social networking superpower Facebook is ready to file its IPO papers as early as next Wednesday, according to a Wall Street Journal report. The company will purportedly look for a valuation between $75 billion and $100 billion, with Morgan Stanley, which helped the company complete a large private placement a year ago, heading the list to lead the offering. At the top end, that would immediately make Facebook one of the most valuable technology companies in the market, with a market cap behind only a handful of such firms as Apple (AAPL, $416 billion), Microsoft (MSFT, $245 billion), International Business Machines (IBM, $224 billion), Google (GOOG, $186 billion), Oracle (ORCL, $143 billion), Intel (INTC, $136 billion), and Cisco (CSCO, $105 billion). And yet, the company's revenue is a fraction of what these powerhouses make. 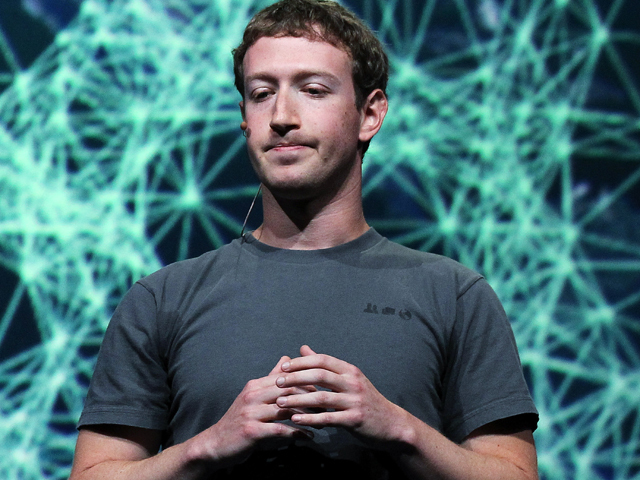 Will the results be a portent of the success that Facebook will see in the future? Or, over the long run, could the IPO become the biggest tech disappointment that the Street has seen in many years? One of the toughest jobs in making an IPO work is setting investor expectations. Aim too low and the company and early investors don't get the monetary value the stock sale could have brought. Too high, and you create the chance that investors, disappointed that the company didn't provide the results they thought it would, punish the stock and send its price into a tailspin. What is normally a fine line has become a tightrope in high tech because of recent sector IPOs. For years, new IPOs were scarce, so when the likes of LinkedIn (LNKD), Pandora (P), Groupon (GRPN), and Zynga (ZNGA) went public, investors piled on. Many of the recent tech IPOs fell flat, as share prices dropped sharply from their opening-day highs. Zynga quickly dipped and is only now back to its IPO pricing. Groupon is well below where it was just months ago, as are LinkedIn and Pandora. As Zynga showed, even when a company makes solid revenue and profit, investors can quickly lose faith. Facebook has ridden a bigger wave of hype than any of these other companies, and reportedly has had solid sales and even earnings. But so much money has gone into it -- $2.34 billion to date -- that small just won't do it. Unless an IPO sees a huge uptake, the original investors won't be able to cash out at the levels that would justify their investments. But a $100 billion valuation is twice as high as a year ago, and even mentioning a low end of $75 billion means that the company has flinched. According to private equity marketplace Sharespost, a transaction today at $34 per Facebook share implied a valuation of $80 billion. Some researchers at the Swiss Federal Institute of Technology in Zurich have questioned whether Facebook is already past its prime. They argue that value of a social networking company is directly related to the number of users. As of last fall, Facebook's growth moved from exponential to an S-shaped curve (a sigmoid function for the math fans). One of the properties of such curve is a horizontal asymptote -- a flat line that defines a maximum value. If the doubters are correct, and the glory days of user adoption are behind Facebook, that could limit revenue growth. Current sales estimates are in the $4 billion a year range, implying a price-to-sales ratio of 20 to 25. If the Swiss researchers are correct about growth, shares could tumble. To avoid such a fate, Facebook will need to develop alternate revenue strategies to keep the growth coming -- and the stock price floating. With 1 billion users, the company certainly has a large customer base. The question is what it's going to sell.